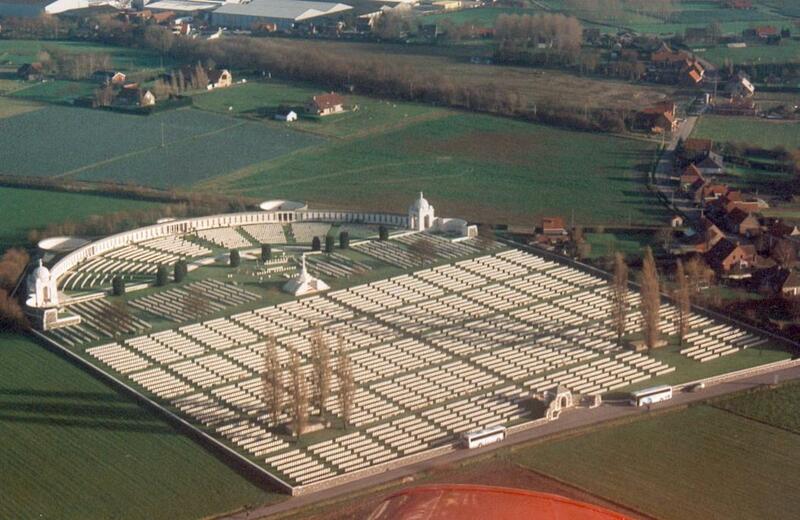 Tyne Cot Cemetery as viewed from the air. This view really shows how big these places are, in addition to the formal graves many more names are listed on panels mounted in the curved bay area. With many thanks to Iain McHenry for the use of this picture.